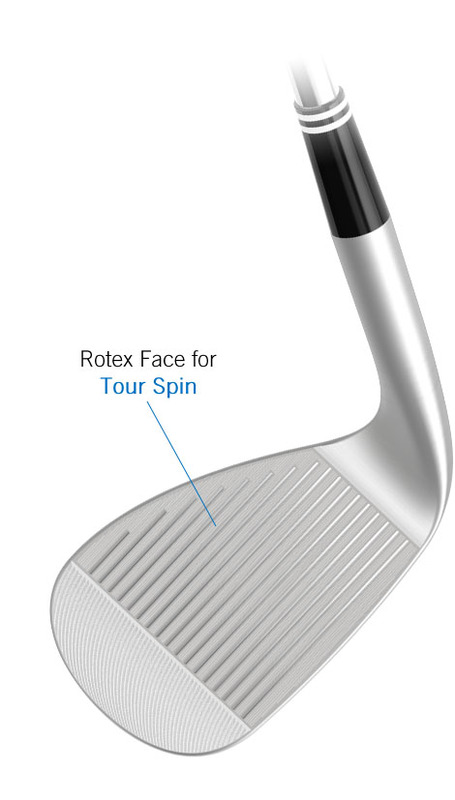 Do you know what bounce you should play in your wedges? 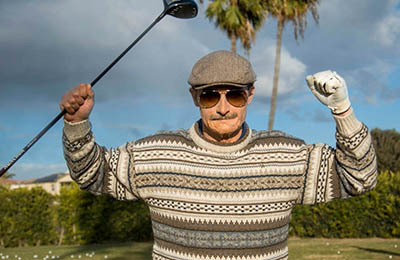 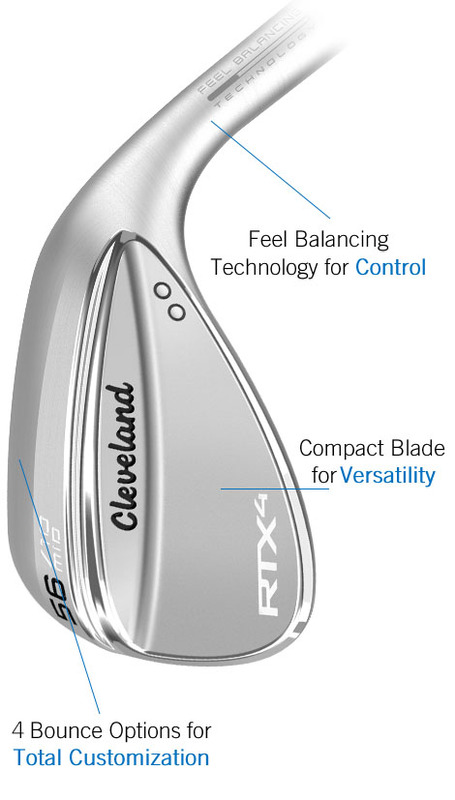 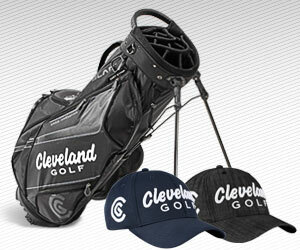 Get fit for your wedges using the Cleveland Golf Wedge Fitting and Selector Tool. 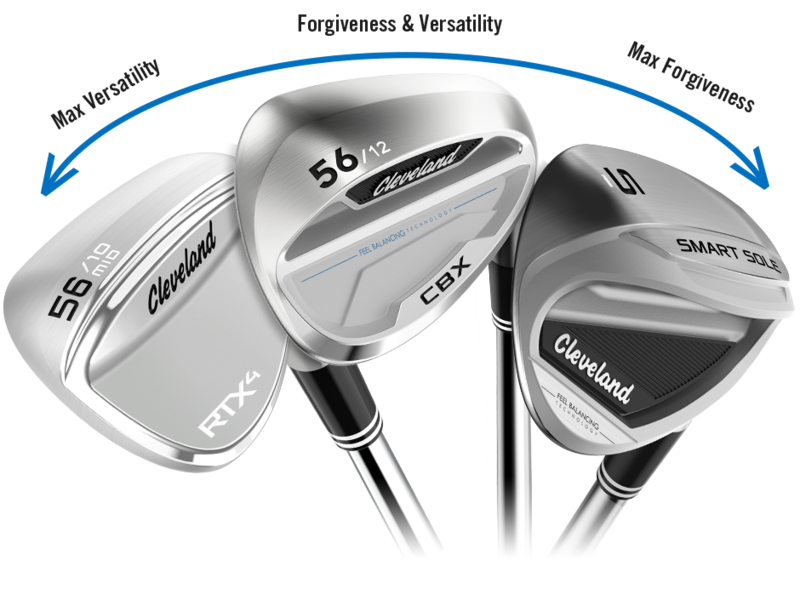 Rather than a one-size-fits-all approach, we design wedges for specific player types so we can build them with the best technologies, sizes, and shapes for each golfer’s game. 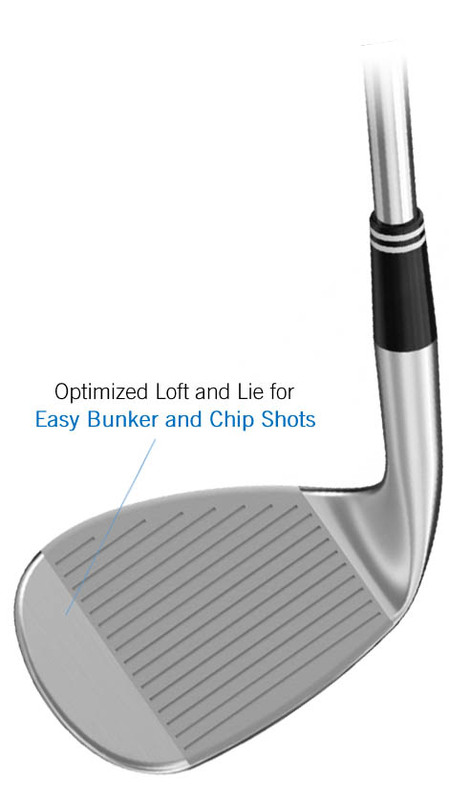 Choose the best wedges built for your short game with our high performing line of wedges. 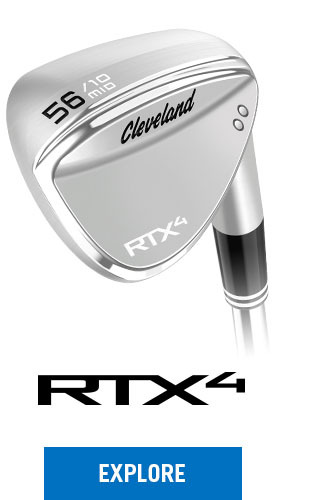 The RTX Series has all the options and features maximum versatility to execute an array of shots. Get more versatility with more grinds and less bounce. 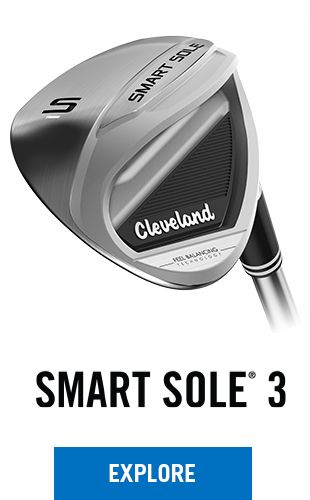 The Smart Sole offers max forgiveness with improved bunker play and chipping. 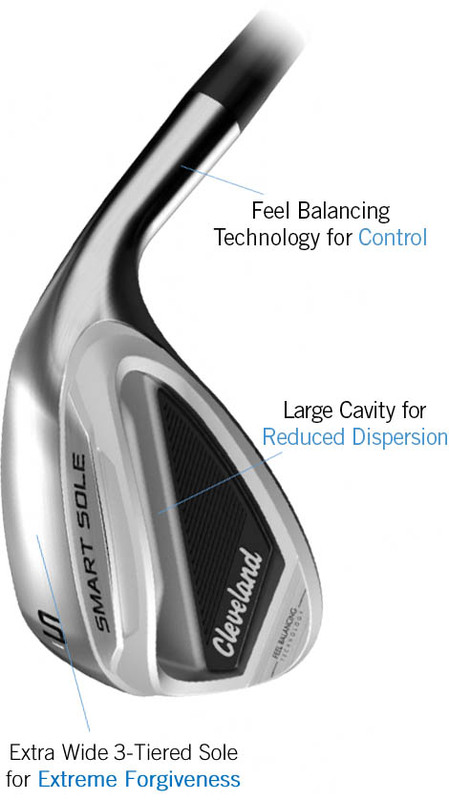 Getting up and down from any lie is easier with Feel Balancing Technology. 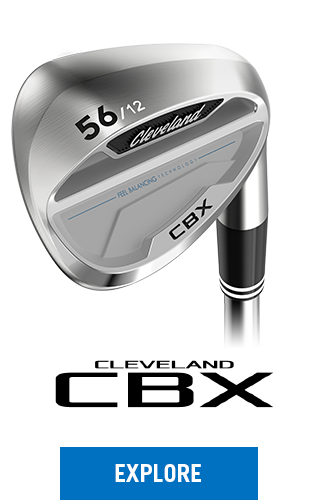 The Cleveland CBX offers the perfect blend of both in a packaged designed for the 84% of golfers who play cavity back irons. 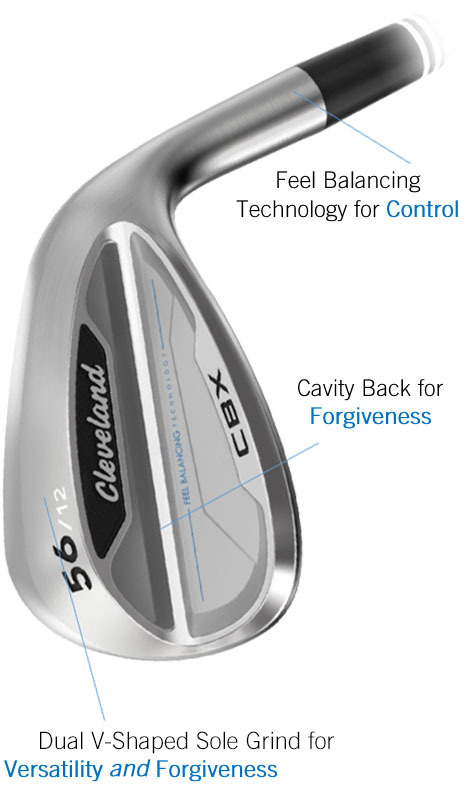 Whether you’re looking for a tour-driven wedge in a compact shape, a cavity back wedge with tour spin performance built for your game, or the short game made easier, Cleveland Golf has you covered!